Rising from the ashes of the Snurfer, the original snowboard, PHNX Boards reinvents snowboarding and rediscovers the 99% of terrain beyond resorts. 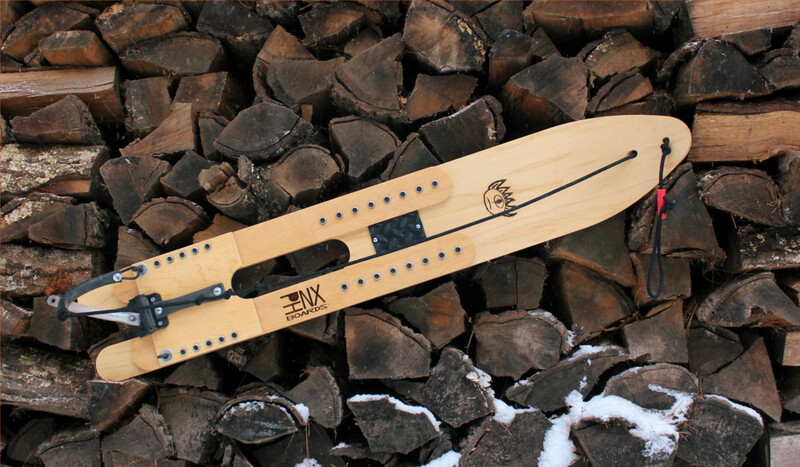 PHNX Boards are wooden snowboards designed as an alternative to expensive resort snowboards. Going to a mountain is expensive and takes time – why spend time driving to a mountain when you have fresh powder in your backyard? 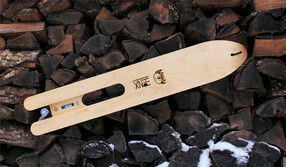 Why not use a lightweight wooden snowboard while the snow is still falling? PHNX Boards have a handmade wooden base (made in the USA from North American wood) and a true step-on, step-off binding – you just pull the Rip-cord to lock the binding over your boot and release the cord when you want to step off. No strapping in or out and no special boots required. 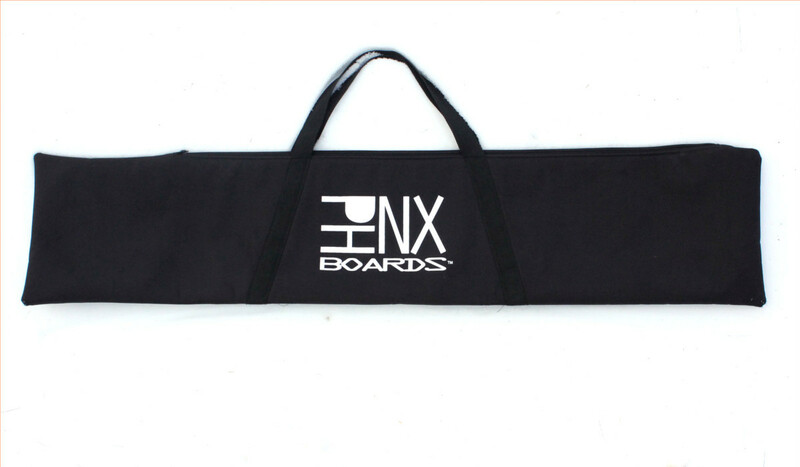 PHNX Boards are perfect snowboards for winter days when you want to ride but don’t want to travel to a resort or go through the hassle of using a cumbersome resort snowboard in the backyard. Just grab a PHNX Board, hop on, and go! Introducing PHNX Boards, the world's only backyard snowboard designed specifically for the 99% of terrain beyond ski resorts. 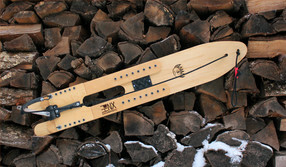 The binding is a step-on, step-off system that doesn't require special boots or extra equipment. The binding releases when you fall off the board or step off at the end of a run. For safety, a brake snaps down when you release the cord, stopping the board from taking off down the hill. Heavy duty, padded, zippered board bag perfect keeps boards cozy and protected while traveling. Made from 600d nylon (shell) and europrene (lining). 56" by 12". 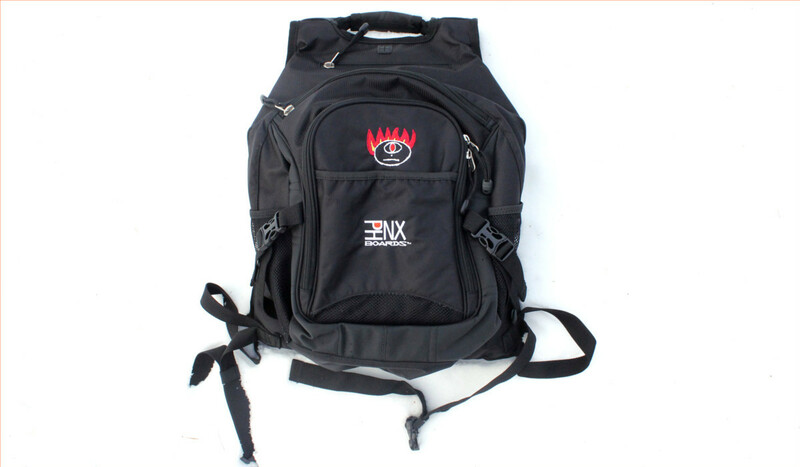 Super versatile, heavy duty adventure pack with padded computer sleeve and a padded back. 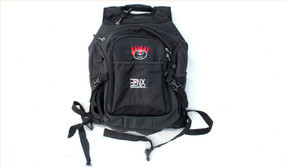 It has waist straps and buckles as well as interior and exterior pockets. 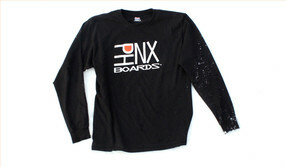 Embroidered with PHNX Boards and PHYRclops logos. Go BOLD or go home! 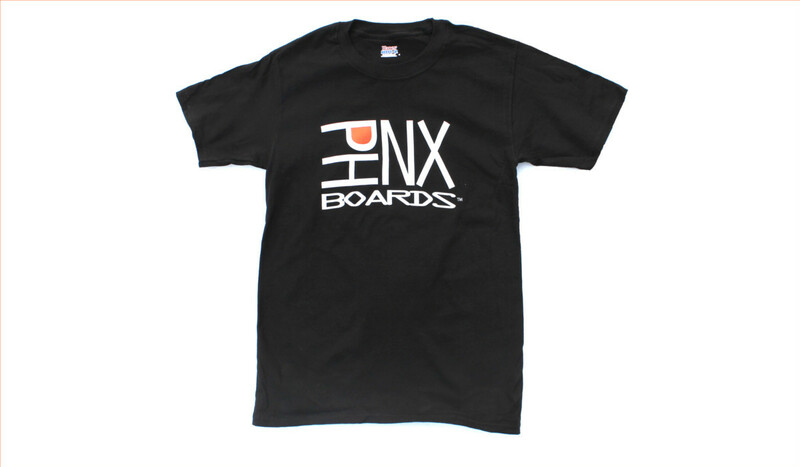 Heavy duty Hanes Beefy-T, 100% ring-spun cotton with an orange and white PHNX logo on front and a white PHNX logo, small, on back (just below the neckline). Comes in X-Small, Small, Medium, and Large. Available as short-sleeve or long-sleeve. All shirts are black. Please contact us within 14 days after receiving the item for refunds and exchange. Products must be unused, in original condition to receive a refund or exchange. Return shipping is the responsibility of the customer. 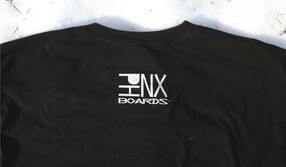 PHNX Boards are built strong and have been tested under many conditions but nevertheless riding PHNX Boards, like participating in all snow sports on or off resort terrain, contains inherent risks including, but not limited to the risk of personal injury, including catastrophic injury, or death, or property damage, which may be caused by variations in terrain or weather conditions; or, surface or subsurface snow, ice, bare spots or areas of thin cover, moguls, ruts, bumps, or other persons; or rocks, forest growth, debris, branches, trees, roots, stumps; or other natural objects. The Rip-Cord Binding/Brake System is designed to release the rider in a fall and stop the board safely under most circumstances, however depending on conditions and circumstances, it is possible that the rider could become tangled in the cord, struck by the board, or that the board not be stopped before striking the rider, another person, or an object. It is your duty as a rider to become apprised of and understand the risks inherent in the sport of snowboarding, which are set forth above, so that you make an informed decision of whether to participate notwithstanding the risks. If you are not willing to assume all of these risks, including the risk of scratching, gouging or breaking the board, and abide by these duties, you must not participate in snowboarding and should not ride a PHNX Board. Helmets are recommended for all riders.